When you are ready to start buying images at stock photo agencies, one of the first things you'll have to do is choose which agency you'll buy from. And this might not be an easy task. In present day there's a plethora of companies offering stock photos and images, and it might be difficult at first to decide which one is best. You can purchase stock photos on demand from $1 for an RF web resolution image up to $400 for a high resolution, RM image. Subscriptions, when available, reduce individual image price to fractions of a dollar. 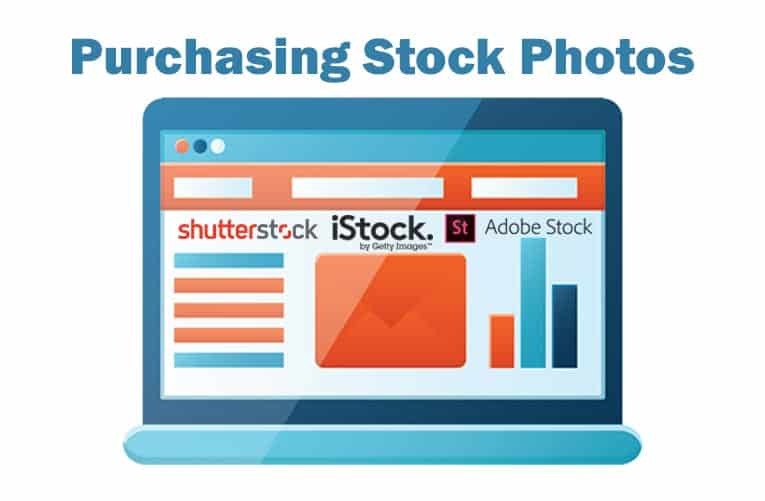 Image resolution, quality, licensing, and buying model play a large role in the purchase price of stock photography. Image resolution refers to the size of the image. For web use, 72dpi is standard. For print applications, 150dpi to 300dpi is required. Be sure the stock photo agency you choose offers images in the resolution you require. Image quality refers not only to the cleanness and clarity of the images, but also to the artistic characteristics of the photography–composition, framing, lighting, focus, and use of color. Simply put, how many images are available, and is there a wide selection of images in the categories you need. Library size is key in anticipating your chances of finding the images you want. There should be tools in place to help you find exactly what you are looking for, and there should be quick and easy to use. Can you search by keyword and category? Can you easily browse the image catalog and view preview images? Do keyword searches return the type of images you expect? How accurate are the keywords that are assigned to the images? Are there advanced filters to refine keyword results? Getting accurate search results will save you countless hours. Does the stock photo company offer the type of license you require for your project? Royalty free and Rights managed licenses are standard at most stock companies, but do you require special uses that might require purchasing a different license? Having documented model releases are key to preventing possible legal issues when using stock photos. Does the stock photo house you are buying from have model releases on file? The proliferation of microstock photo companies and the low prices they offer has lead to widespread use of certain top rated photos. When you compare companies, look for image ratings and popularity info. This will help you avoid purchasing over-used photos. Again, to help you avoid choosing over-used photos, be sure the company tracks and displays the number of times a photo has been downloaded, used, or purchased. Comping images are low resolution samples that allow you to layout the image in your design before you make a purchase.